The rays of ride…the shine of hope…The dawn days they are.. The greenery trees…Flora of grass with tiny flowers...Perky pitch..
Movie madness made us to catch the cinema. We are on the edge of the seats to sense the drama. Larkish mind and biting teeth trying to catch the enigma..
and also Scolding’s and beatings earlier form the father. 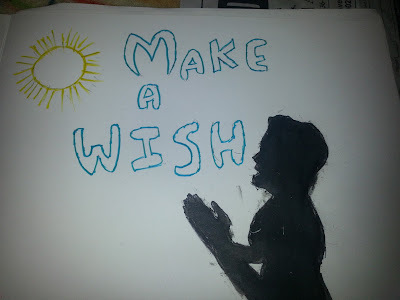 Make a wish my child asks the Almighty..
(Vociferous voice waking me up)...Get me the progress card …. Beautiful flow in the poetry and glimpse of all the wishes of childhood. Nice one. Thank you Binzy for u r grateful words. Childhood memories are always nostalgic to remember again and again..
isn't that what we all wished for!!! nice! I always wished for that to happen and rarely it did ! I like it! Very novel poem!